Maria L. Carr has lived in Stockbridge her entire life and was born in the house she lives in. She attended the Plain School and Williams High School, and graduated from Berkshire Business College in Pittsfield. Maria worked for The Berkshire Gas Company for over 35 years, and took early retirement as IT Manager in 1999. She is a member or volunteer for many organizations, enjoys genealogy research, gardening, and exploring the town's history. Maria has been a volunteer at the Proctor Museum & Archives for many years, and she has created a file of all houses and structures in Stockbridge along with their history. She also serves as editor of its newsletter "Now & Then." 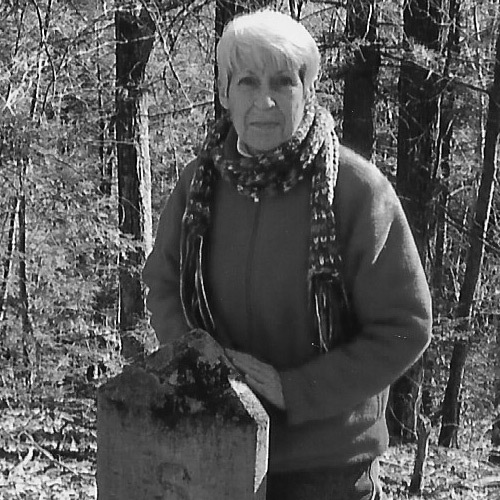 She is compiling a book on all the monuments and plaques in the town, some of which are on Laurel Hill Association properties. Maria is on the town Historical Commission and the Elderly and Disabled Committee, and works at the polls.